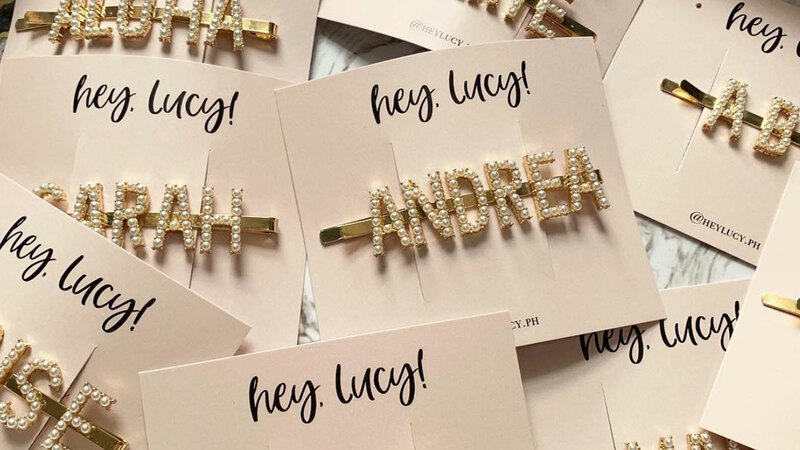 Cosmo girls, brace yourselves for PEARLY PERSONALIZED HAIR CLIPS! We're already thinking of words that we can form. These are what we currently have in mind: "Hype," "cool," "feels," "bae," "yours," and maybe... "maybe," LOL! If you want to be extra, you can even wear two to three hair pins at the same time. We also believe it would be fun if everyone in your barkada ordered one with your names on it!